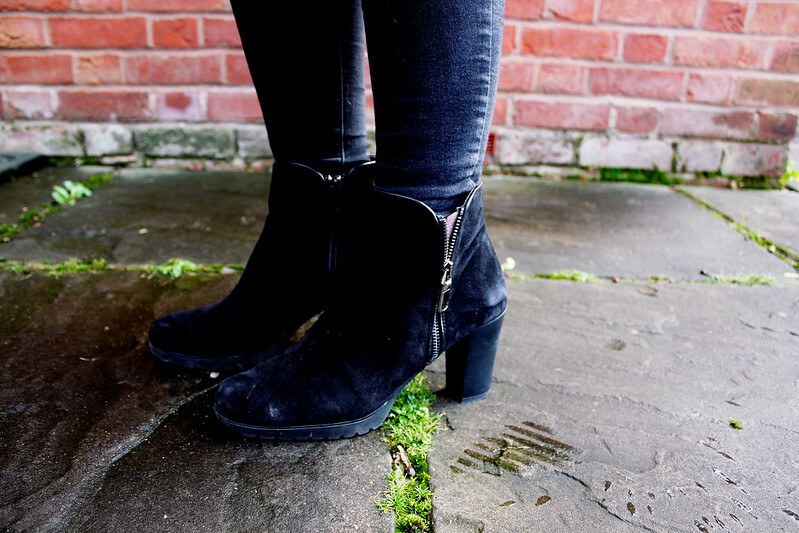 Black Boots - Daniel Footwear(*) (similar here) I've become obsessed with gilets at the moment. They keep you so warm and snug and look super stylish too. 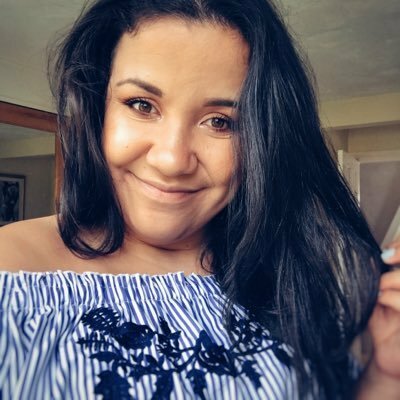 I love teaming this gilet with a polo neck crop top like this one from ASOS. 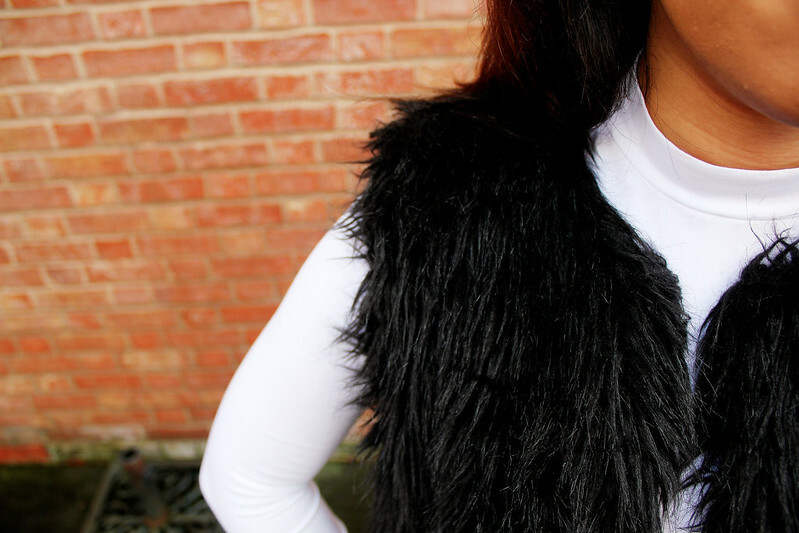 This white crop top really makes the furry gilet stand out and I love how this look is all monochrome too. Black Boots - Daniel Footwear(*) (similar here) This is a look I wear on a weekly basis at the moment, especially if I don't want to wear my parka jacket all the time! I think this is a great look for when I go into university but it can be made more casual by swapping my boots for a pair of white converse. I teamed this outfit with my favourite mac lipstick too russian red. You can check out my post about the lipstick here. Black Boots - Daniel Footwear(*) (similar here) I really love this outfit and It's definitely the kind of outfit you can wear year after year and it'll still be in style. Ah you look so beaut I love the gilet! you look lovely, cute outfit! I like this post and I think every body like your post.you can see it..